Happy Valentines you lovely people! Whilst some of you are out on dates with your better halves and the other lot are chilling at home with a bottle of wine and a takeaway, I'm sat swooning over make up as per and ohhh dammnnn tonight I have a treat for you. 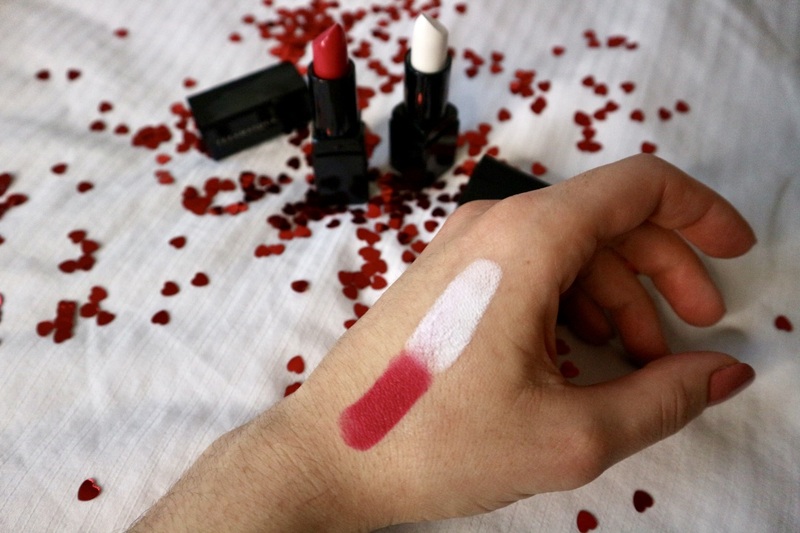 Cue, the perfect Valentine lip. 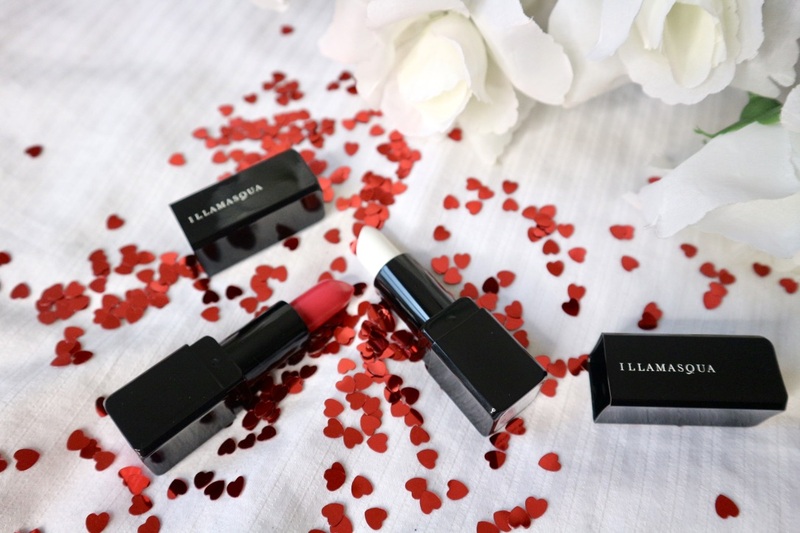 Illamasqua's new AntiMatter Lipstick collection fills the gap in their range between the matter than matte Matte lipsticks, and the satin finish of the Glamore lipsticks. AntiMatter is an 18 shade semi-matte collection that includes the two Valentines shades Physical and Eclipse. Physical is a gorgeous deep pink red, that worn on its own creates a bold, killer pout that will draw attention to anyones luscious lips. 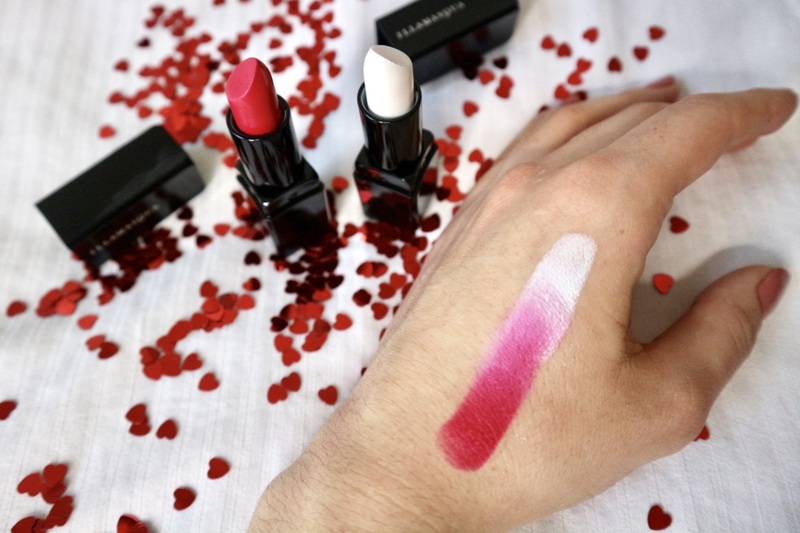 However as its Illamasqua and they don't do things by halves, they are letting you be your own mixologist with Eclipse so you can create your own shade range of your favourite lipstick. I'll say here - Eclipse is not a stand alone lipstick. Under no circumstance am I suggesting you don a full white lip and hit the town, but what you should do is create new shades, ombre lip looks and go get creative! I have 5 of the AntiMatter lipsticks and the texture is unreeaaalll. I'm a matte fan but my lips get so dry and chapped, especially in winter. 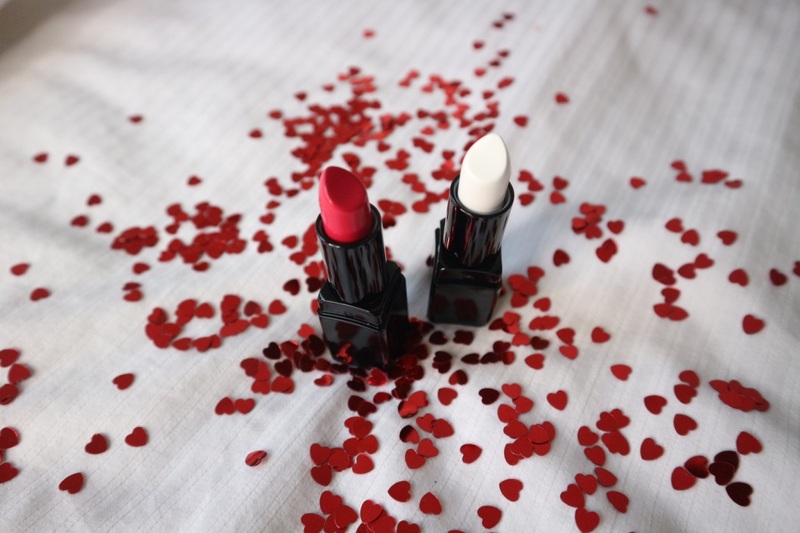 From the first smooth swipe of these bad boys you have strong pigment, full coverage and a comfortable moisturising lipstick that doesn't feel tight or drying. They retail at £20 each and you can pick them up directly at Illamasqua.com, in all Selfridges doors and selected Debenhams stores. If you're in Leeds, London or Liverpool head to a stand alone store and have a play for yourself. Have you tried AntiMatter yet? Whats your go to lipstick shade?